The Story: While 15 year old Mia is trying to make new friends at a new school, her body begins a transformation that she is not expecting or able to do anything about. This movie is Lisa Brühlmann's debut feature film and is also her master's thesis project. After watching the movie, I would have to say she has mastered the art of film making and should have a long and successful career ahead of her. If I did not know this was her first feature length film, I would have sworn it had been made by someone with years of experience under their belt. Brühlmann's use of color, lighting, and music set the tone right from the beginning as she lets the audience know this is not a fairy tale and it is not a standard coming of age story by any means. The theme of transformation takes on many forms in this story but the most obvious is the physical change that Mia, played exquisitely by Luna Wedler, goes through over the course of the movie. At the beginning, Mia looks to transform her personality and persona as her family faces the types of change that come from relocation. As soon as she dives into this new world of school, friends, and lifestyle, she also begins a slow and subtle physical transformation that she immediately rejects because it frightens her. There are so many comparisons, similarities, and contrasts in the various ways that Mia experiences change, she truly does become a completely different person by the end of the story. While Mia's physical transformation is a fantasy component that is essential to the story, everything about the movie is grounded in a very cold reality that is so opposite of even something like Guillermo del Toro's The Shape of Water. The one movie that sprang to mind as one that could be set in the same world as this film is Tomas Alfredson's Let the Right One In, a Swedish vampire movie that completely changed the genre and gained a huge cult following. 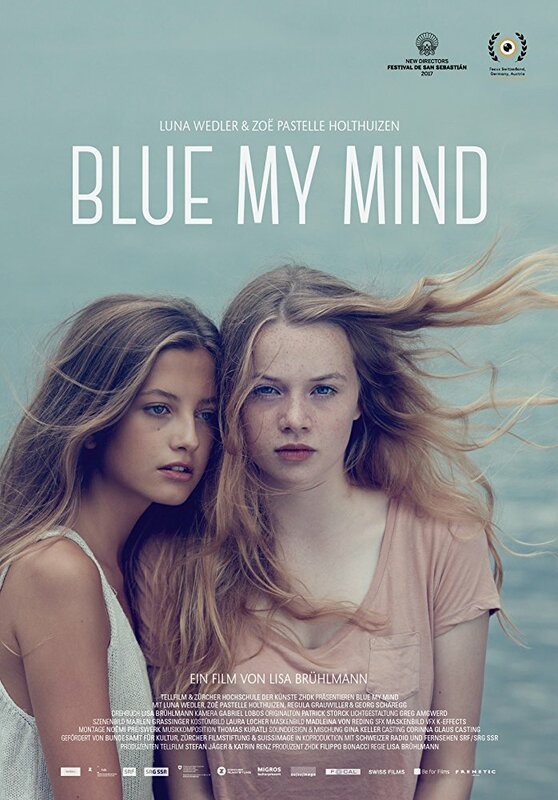 Blue My Mind is a movie you can't take your eyes off of and is a story you won't soon forget. Perfectly executed on all fronts by first time feature director Lisa Brühlmann and capped off by a stellar performance from Luna Wedler. Blue My Mind is an official selection of the 2018 Seattle International Film Festival.